The two room apartment is located right in the business hub of Kyiv, close to “Kyiv-Donbass” business centre and park named after T. Shevchenko. It takes 5 minutes to get to the main street of the city – Khreshchatyk Street on foot. While walking down to the street you will pass shopping and leisure center “Mandarin Plaza”. There is a grocery and small store, ATM, banks, metro station (“L. Tolstogo”), and bus stop close to the building. In three hundred meters there is a famous fast food restaurant with Ukrainian cuisine “Puzata Khata”. Windows view the L. Tolstogo Street. From the balcony you will observe an impressive view on L. Tolstogo Square and park named after T. Shevchenko. Fully equipped perfect studio option in the very center of Kiev. 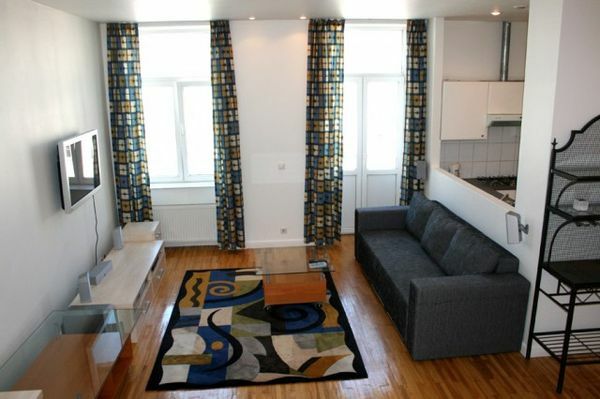 Very nice accommodation in the center 2 min from Kreschatik Street. Equipped with everything needed. One entrance with code door. The two room apartment is located in the downtown of Kyiv and close to business centre “Kyiv Donbas” and Square named by L. Tolstogo. It takes 7 minutes to get to shopping and leisure center “Mandarin Plaza”. Close to the building there is a grocery, small store, banks, ATM, metro station (L. Tolstogo). Bus stop is in 100 meters from the building. Thre are also some coffee bars and restaurants nearby. In fifty meters from the building there is a fast food restaurant “Puzata Khata”. The Kyiv Operetta is located in 300 meters and the National Sports Complex “Olimpiyskiy” is in 500 meters from the building. Windows view a quiet green yard. In the yard you can leave a car, if it was previously coordinated. 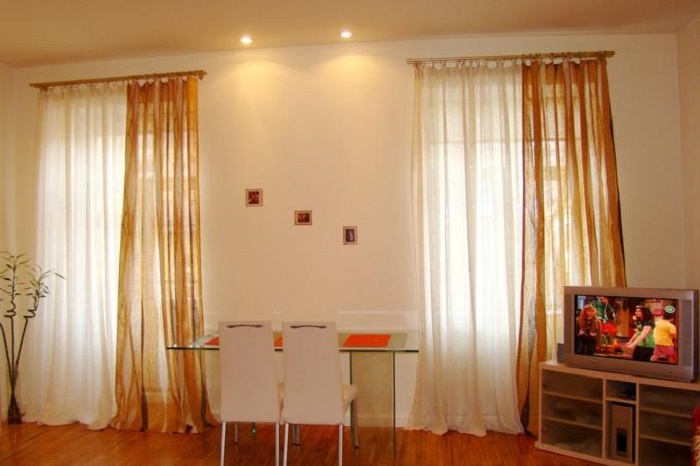 The two room apartment is located right in downtown of Kyiv, close to Square L. Tolstogo. It takes 10 minutes to get to the main street of the city – Khreshchatyk Street on foot. While walking down to the street you will pass shopping and leisure center “Mandarin Plaza”. There is a grocery and a small store, ATM, banks, metro station (“L. Tolstogo”), and bus stop close to the building. Thre are also a lot of various cafes and restaurants nearby. In three hundred meters there is a famous fast food restaurant with Ukrainian cuisine “Puzata Khata”. The Kyiv Operetta is located in 300 meters and the National Sports Complex “Olimpiyskiy” is in 500 meters from the building. Windows of the bedroom and kitchen view a quiet yard, while window of the living room views a boulevard. This lovely newly renovated studio apartment is located in the prime heart of Kiev’s historic center, right next to main street of Kreschatik – and next to Maydan Nezhalezhnosti (city’s main square). All the downtown highlights are just minutes away from this location along with dozens of cafes and restaurants. Situated on the 2nd floor of a door coded building with an elevator the apartment features everything one may require for a comfortable stay. It has two comfortable rocking chairs, a large wardrobe area, fully equipped kitchen and a balcony with nice city views and much more. The apartment is spacious (almost 50 square meters) and receives plenty of sunlight. 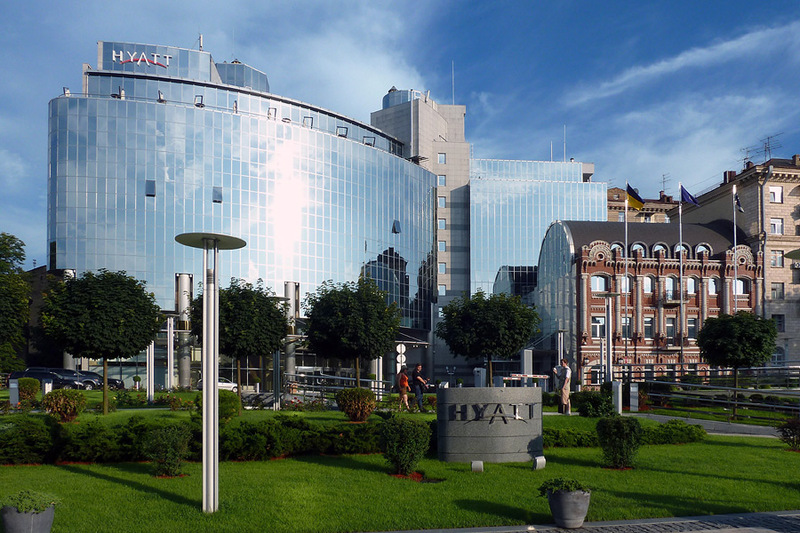 Hyatt Regency Kiev is a 5 star hotel in Kiev, in the heart of the political and business capital of Ukraine. The hotel offers 234 luxurious rooms and suites, which overlook the old town. The hotel is located in the Shevchenko district of Kiev, near the St. Sophia Cathedral, St. Michael's Monastery and shopping downtown. 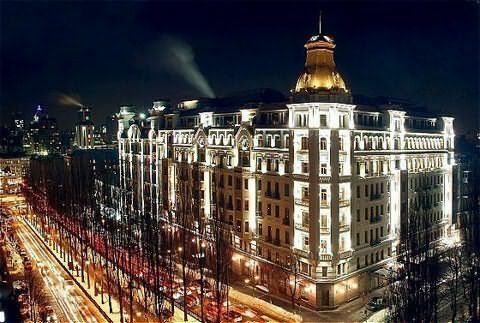 Among hotels of Kiev, Premier Palace Hotel stands out for its rich history, which dates back to 1909. It was then that hotels in Kiev, began to flourish. 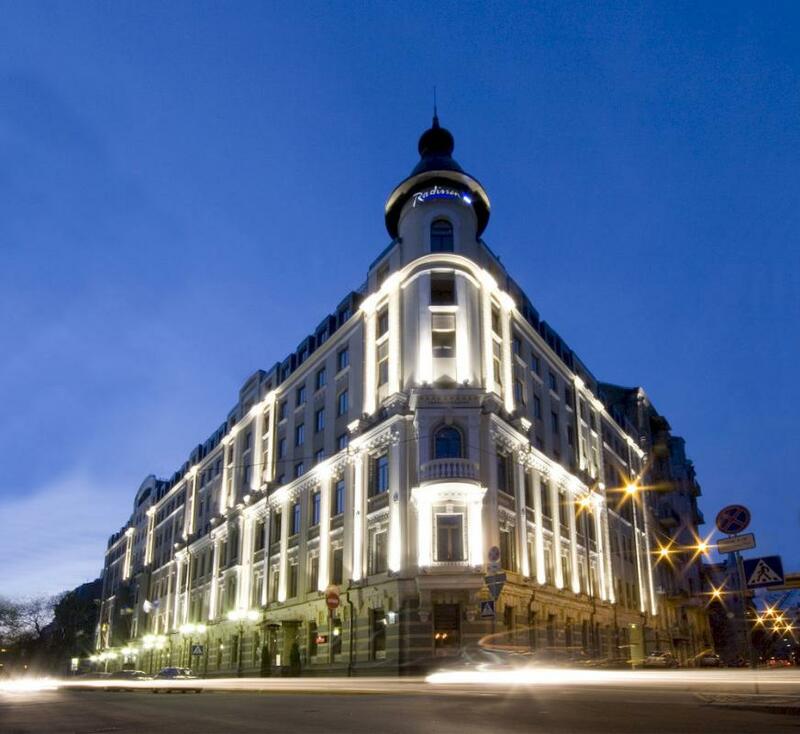 Today the magnificent building of the hotel in the heart of the capital of Ukraine is a part of the architectural heritage of the city. All hotels in Kiev and Ukraine have a certain aura and mood, but only in the hotel "Premier Palace" tradition of hospitality combined with modern solutions. 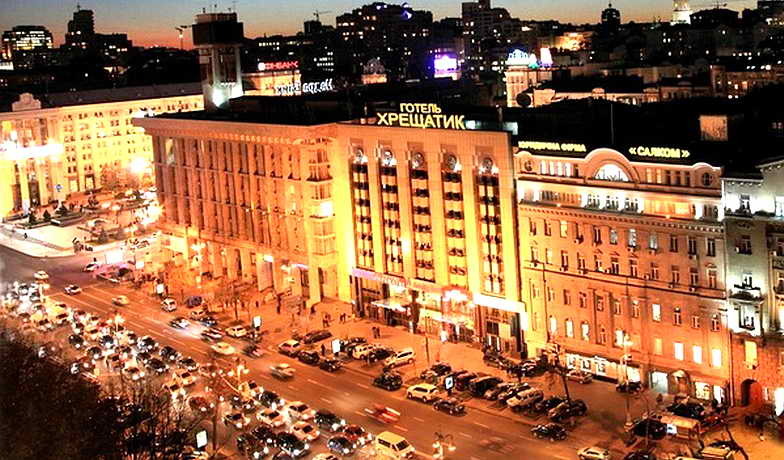 The four-star hotel Ukraine is located in the heart of Kiev - on Independence Square, in a unique place where the cultural, political and entertainment life of the city is. 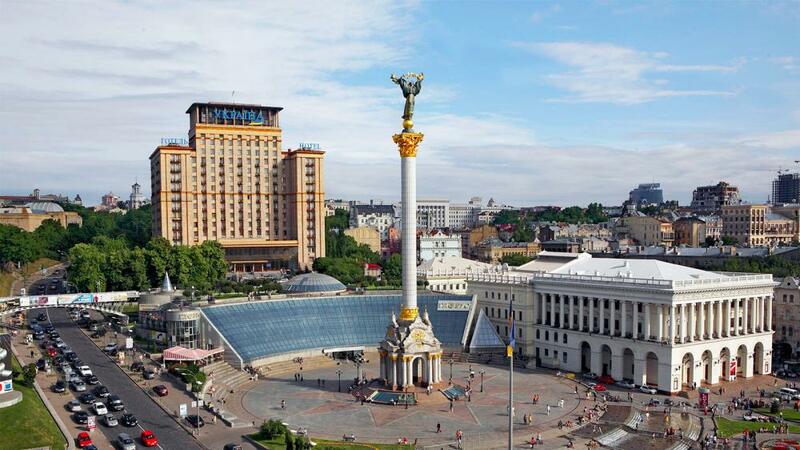 Not far from the hotel is the Secretariat of the President of Ukraine, the Cabinet of Ministers, National Philharmonic, St. Sophia Cathedral, St. Michael's Cathedral, the Mariinsky Palace and Park, most famous Kyiv theaters, nightclubs and shopping malls.